In a move that fulfills every basement-dwelling tech nerd stereotype out there, Domino's and Pebble are finally letting you use your wrist computer to watch as your pizza inches ever-closer to your gaping maw. Wipe away those tears and/or meat sweats, and behold the Domino's Tracker smartwatch app. 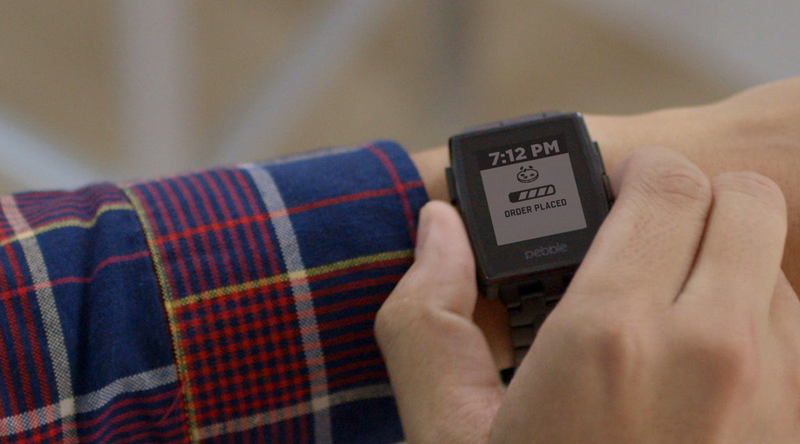 This is Domino's first foray in smartwatch land, and at least for now, the Pizza Tracker exists exclusive on Pebble. Simple load the app up on the watch, sync with your phone (assuming its iOS or Android, that is), and all your pizza-related news will show up directly on your wrist in real-time. Just like god (Satan Prince of Darkness?) intended.